First and foremost, thank you all for a GREAT season ��� ice-fishing for the opener, beautiful weather into May and then 10 inches of snow on Memorial Day, and then more awesome weather in June with some excellent fishing. Then July and August and the warm temps and some iffy fishing, but you were all here through it. And cool temperatures over Labor Day and then summer was back and on into October with the temps were above normal until the artic weekend of the 11th when the temps hovered around 16 degrees (6 degrees if you factored in the wind chill) and another 10 inches of snow. And now the last two weeks ��� Indian Summer. The temps were in the 60s, who would have figured for our closing weekend. The parking lot this weekend almost looked like a holiday weekend ��� oodles of folks took pleasure in the warm temps and would you believe the catching of fish. Yup, catching picked up a bit over the last few days. 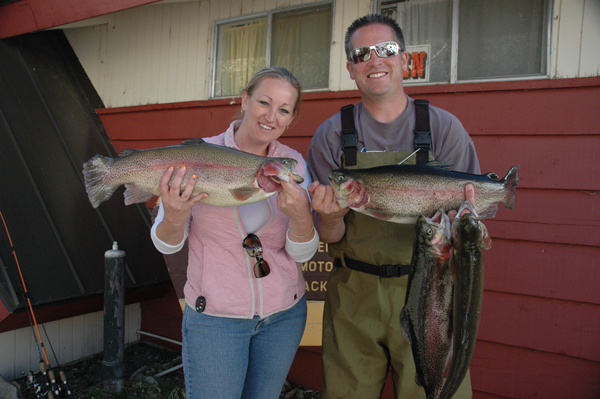 Just ask Michelle Connell and Ben Ramsoell of Victorville who took 2 lunkers out of Lake Sabrina and 2 out of Intake 2 using white jigs ��� the fish weighed in at 6-3/4 lbs, 5-1/2 lbs, 4-1/2 lbs and 4-1/4 lbs ��� all from shore - GOOD JOB! Along with those mammoth fish, quite a few limits were seen making their way to the skillet. Salmon eggs and NightCrawlers seemed to be the ticket to a full stringer. Trolling still hasn't picked up, but now that the landing has closed, Rick and I will get to try our hand at fishing ��� Whoo-hoo! ! ! 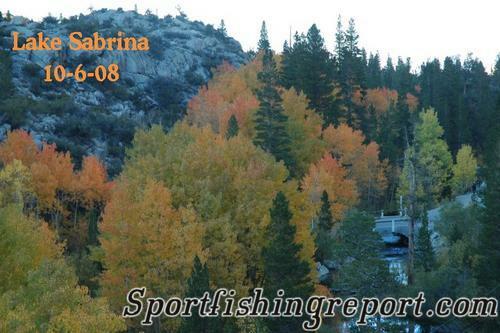 We would also like to thank all the sports editors for placing our fishing reports in the paper especially our local Inyo Register ��� Big Fish picture after Big Fish picture brought many locals and out-of-towners up to the canyon. THANK YOU! 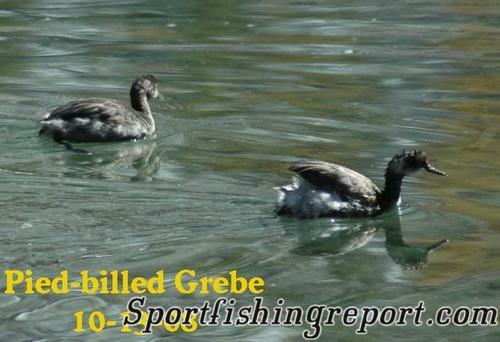 Tis the end of OUR season ~ fishing season actually closes November 15th. Again, thank you to you all for a wonderful season. As we close, we are very happy (no use lying about it ��� we're tired), but we'll be ready to see you all again next season ��� we'll be open April 25th, 2009 at 7:00am. Have a GREAT winter.